SKU: 800-801. Categories: Hunter Jumper Tack, Dressage Equipment, Horse And Rider Tack, Bridles & Equipment, Girths and Cinches, Horse Boots. Tag: horse tack. ThinLine horse tack cleaners are recommended for all ThinLine foam and leather goods. It’s also great for cleaning just about everything else! This all-natural, thoughtfully designed wash removes all organic matter, dirt, manure stains, you name it. Safe for all humans and animals, large and small. Use this horse tack cleaner on your ThinLine reins, girths, bridles, halters, horse boots, and other leather goods to ensure durability and warranty coverage. This gentle, effective formula has been tested and is completely safe for the ThinLine foam lining, and does an excellent job of cleaning the leather. Condition the leather portion only with a paste or a cream. ThinLine uses medical grade sheepskin with a natural hide (no synthetics). Please do not wash your Sheepskin products with Melp. Wash your sheepskin with Eucalan sheepskin cleaner to keep your pad covered under the full year warranty. Eucalan’s original scent, first introduced in 1989, is made with essential oil of eucalyptus. Eucalyptus oil is a natural fly inhibitor, (we wash our horses with it too!). The lanolin enriched formula helps to naturally condition fibers and will maintain the natural hide found in all ThinLine sheepskin products. 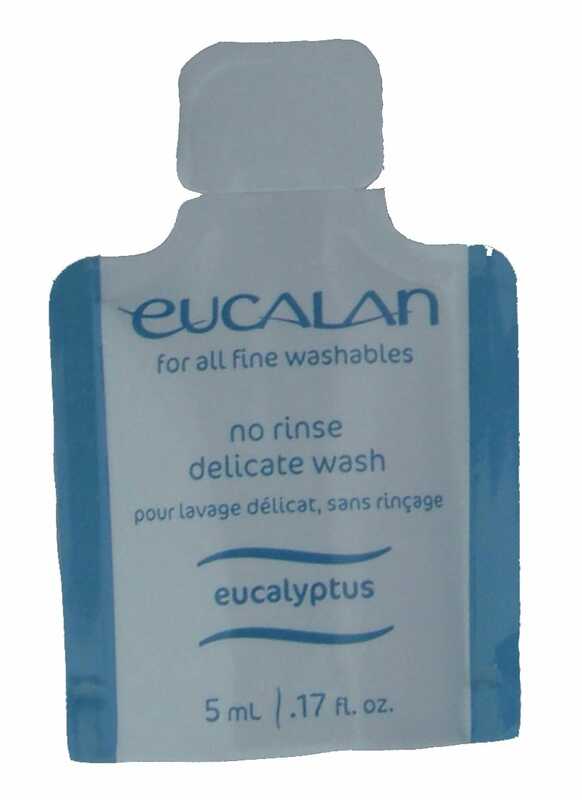 We love Eucalan wash sheepskin cleaner! Great cleaner. I use it for not only leather and ThinLine but for all the other “organic” matter around the barn. I even clean my geldings sheath with it. Very safe and very effective.